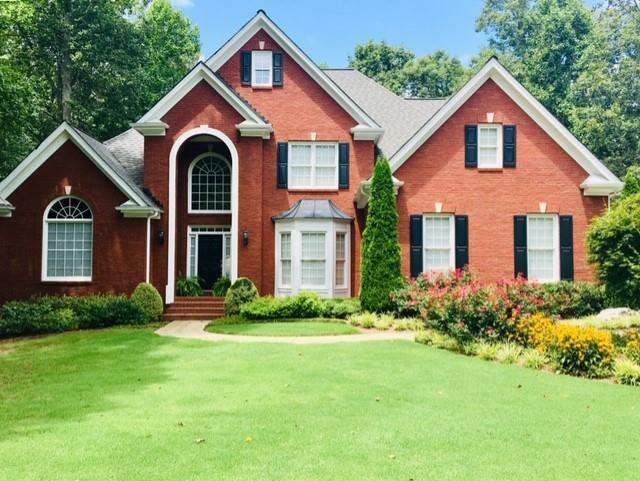 Beautiful 4 sided brick ranch with finished daylight basement. This spacious open floor plan with high ceilings and lots of natural lighting will not disappoint. 2 master bedrooms suites with his and hers closets, gourmet chefs kitchen with sub zero frig., wine cooler, custom island and stainless appliances. Oversized laundry and mudroom. Walk out on the private Veranda overlooking beautiful Koi pond and water falls. Finished basement with full bar, wine cellar, media room and game room. Lots of storage and move in ready. 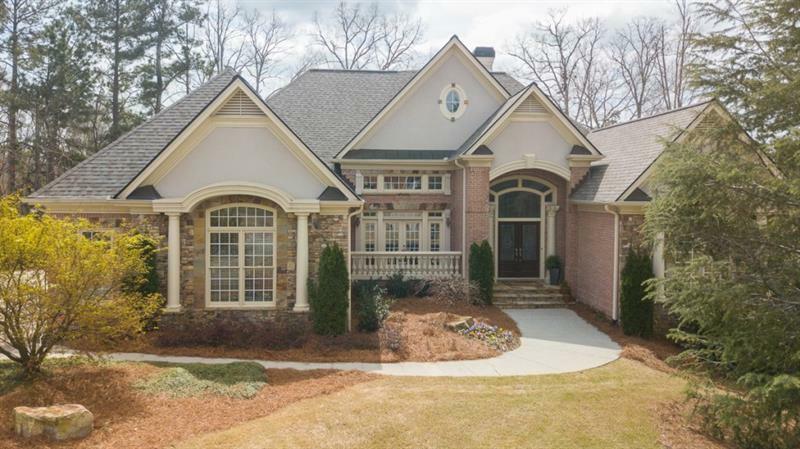 Stunning home situated on large corner lot in prestigious golf community. 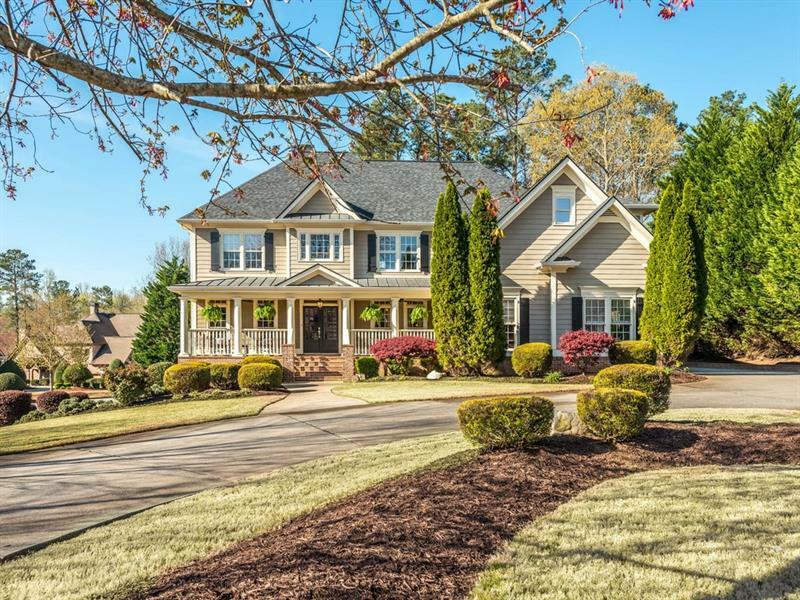 Home features circular driveway, rocking chair porch, two-story foyer, hardwood floors, fireside great room w/ massive wall of windows, gourmet kitchen, bright breakfast room & keeping room, large owner's suite w/ fireplace/sitting area, spa bath and huge walk-in closet, finished terrace level w/ family rm, game rm, office & lots of storage, inviting brick deck & covered patio overlooking beautiful, private backyard! 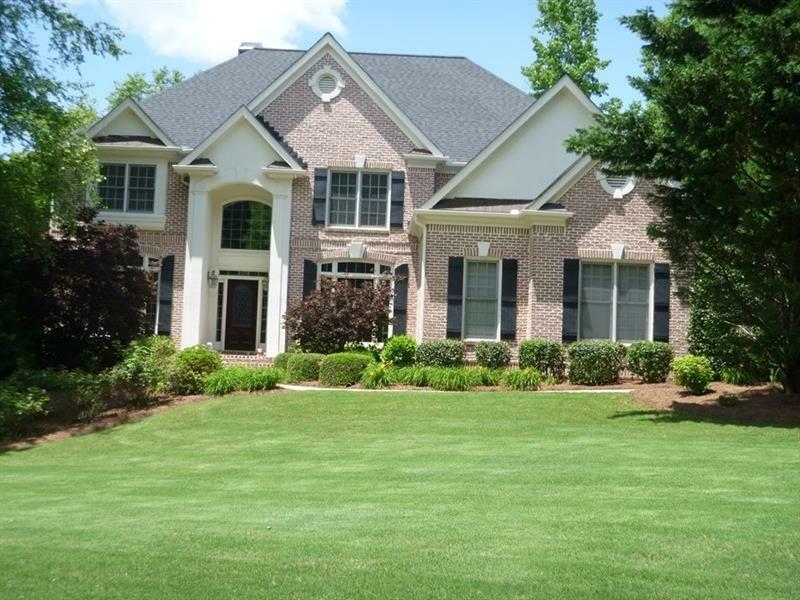 Award-winning Forsyth schools & convenient to amenities. A MUST-SEE! This Dream Home is Completely Renovated w/Master on Main,Finished Terrace Level,Salt Water Pool & Culdesac Lot!Grand Two story Foyer.Open Two Story Living Rm.Chef's kitchen w/Granite tops,Custom Cabinets,SS Appliances,Thermador fridge,coffee machine, dual ovens & walk-in pantry.Spacious Family Rm w/Custom Fireplace.Master Suite w/Dual Trey,Fan & Hardwood Floors.Vaulted Master Spa w/Jetted Tub & Tiled Floor. 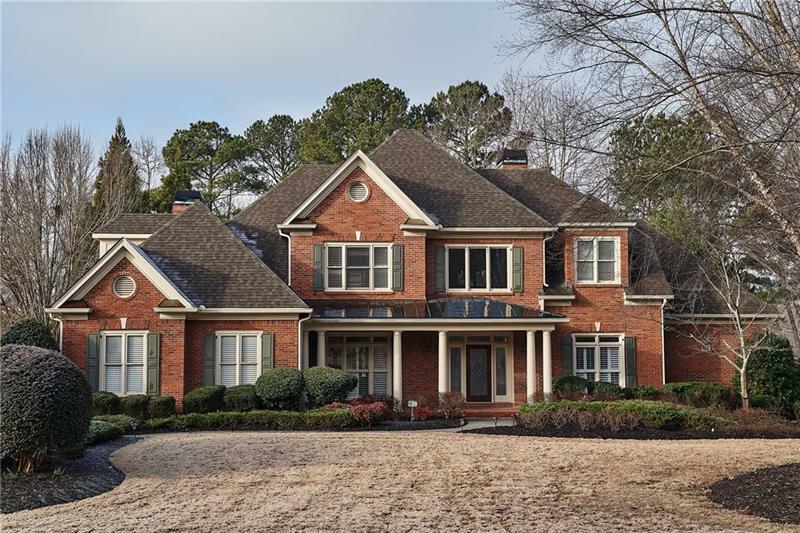 Gorgeous Dining Rm w/Wainscoting & Chandelier.3 Gracious Bedrms w/ Baths & Flex Area up.Finished Terrace Level w/Bar,Media & Rec Area,Two Bedrms & Full Bath. Luxurious 4 BR 4 & Â½ BA executive home with professionally finished terrace level in park like setting. 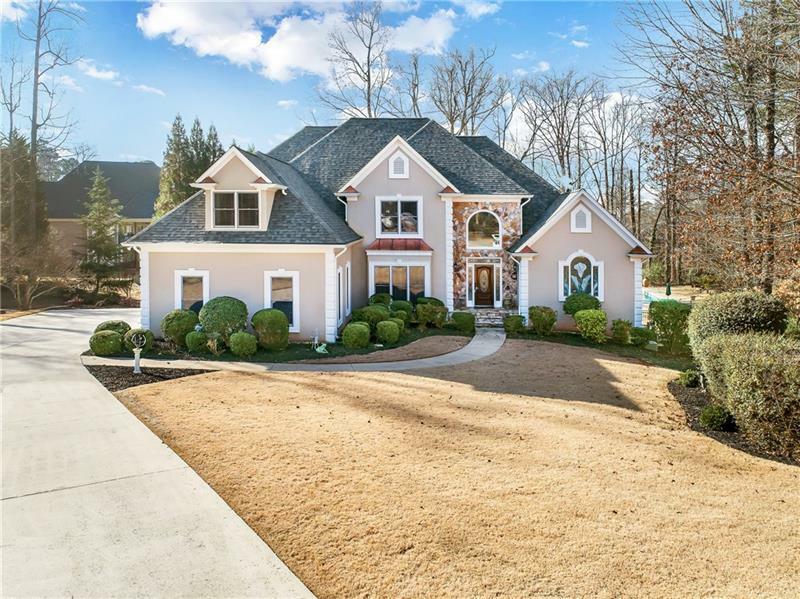 Elegant main level features HWs, office, dining room, family room, master suite with spa bath, gourmet kitchen with island, granite counters, breakfast room & cozy fireside keeping room. Upstairs 3 large BRs with walk in closets, 1 with private BA & 2 sharing a Jack n Jill BA. Prof. finished terrace level with media room, workout room, 2 custom bars, game room, bath with steam shower... Enjoy professionally landscaped back yard oasis with large deck & double patios.